The bass! That Crazy bass! It seems to be the one element that is hardest to tame, and even harder to set properly in the mix. Yeah, it's there... and yes you can hear it, but if not mixed right it can quickly over power everything and cause your levels to peak on the master bus. This in turn causes the dreaded "clipping". Clipping in the analog realm was not such a bad thing. In fact many an engineer used it, and are still using it beneficially. Clipping in the digital realm is a whole new story though. Nasty! Just nasty! Luckily there are ways to take care of these issues. As with most recording tips, these are purely subjective. But as one who has tamed this beast on several occasions, I will share with you what has worked for me. First things first though, it must be made known that every mix is different and there are no X,Y, & Z solutions. These tips will merely give you another ace up your sleeve, a proverbial trick in the bag, a... Well, you get the point. Ok, so in order to tame this beast you must first know where it lives. The human ear can only hear so far down on the hertz spectrum, and once you get to a certain point you simply "feel" those low notes. Though debatable, 20hz is considered to be the lowest frequency a person can hear. (Debatable because super heroes are real) Therefore one could deduce that anything below that is useless and can be extracted via the trusty high pass filter. 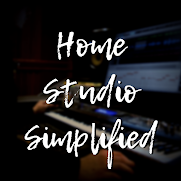 Now, while we are on that subject, in would behoove you to throw that HPF on every track in the mix and remove any low end content that is not needed. (i.e. 100hz HPF on Vocals, 37hz on Bass, etc.) This will eliminate a cumulative bass build up over the course of several tracks. Now, you can't remove all you low end, otherwise you will be left without punch and feel, but if done right you will already have a good starting point to taming the beast. 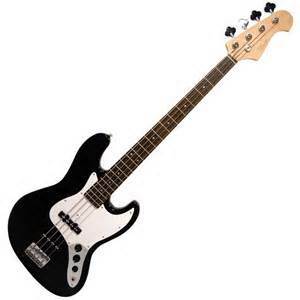 There is an area of the bass guitar that just doesn't sound right. It varies, but usually it is around 500hz. This is an area that is regularly described as sounding "wooly", or muffled. With some gentle EQ'ing one can remove the blanket off the speakers. I like to use a wide cut of about -1 or -2dbs at a Q of -0.5 to -1.0 in the 450-500hz range to remove those "hairy" sounds. 3 Heads are Better than 1? Another way I have got a great Bass sound in a less populated mix, is to create 2 busses just for my Bass. (Hold on now! Don't crucify me yet) I know, here I am talking about taming the beast, and now I am saying make it a 3 headed Hydra. Give me a minute here though! So here's how it would look. You have your main Bass track right, now create 2 sends that go to 2 separate Busses. Each bus will have the same settings but one will be panned hard right and the other hard left. Now, with your favorite EQ, take away all the low end from those bus channels and throw some saturation/distortion on them. Start with your faders all the way down and blend in the two side channels, just enough to gain a little extra clarity. Though this does not work on every mix, it is yet again another option. Now, you want a punchy Bass do ya? Yeah, we all do at times. This can be easiest to achieve from carefully selected compression and even some multi-banding. These are just a few tips to get you there. If you'd like to see some of this in action, sign up for the email newsletter. My subscribers receive FREE stuff in there inbox from time to time, stuff that really matters! I don't spam! And I only send out product reminders monthly, or before they are released, to share with my buddies. Have a blessed day, and I will talk to you... Later.